Good news?? Hey! I'm ready for even more of the white stuff. Only way to get a day off around here. And besides.. I have grown children that have never seen any snow deeper than 4". Last decent snow here was what? 1985? Got 9" that time. I guess it depends where you are. Last year on Feb 8 the airport had a little over 5". 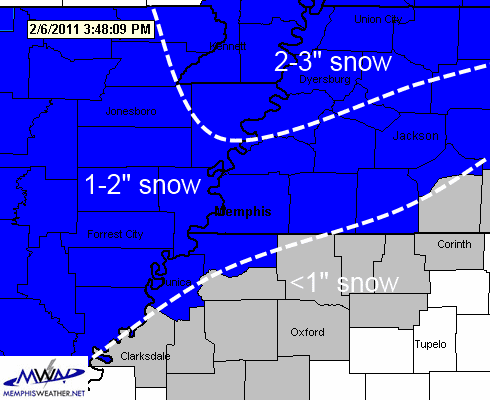 And on March 1, 2009, there was 9-10" on the north side of Shelby Co., but only 4-5" if I recall on the south side of town. It's been snowy, just not a HUGE dumping. I'll take the big snow and get it over with then 3-4 two-inch snows!